I'd like you to see the most exciting breakfast assortment that I've ever seen in my 29 years. 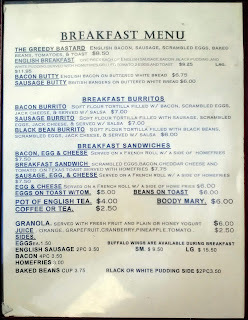 Please direct your attention to the lower right section and you'll see the menu item that gives me sweet dreams and savory mornings -- buffalo wings, the best part of waking up. 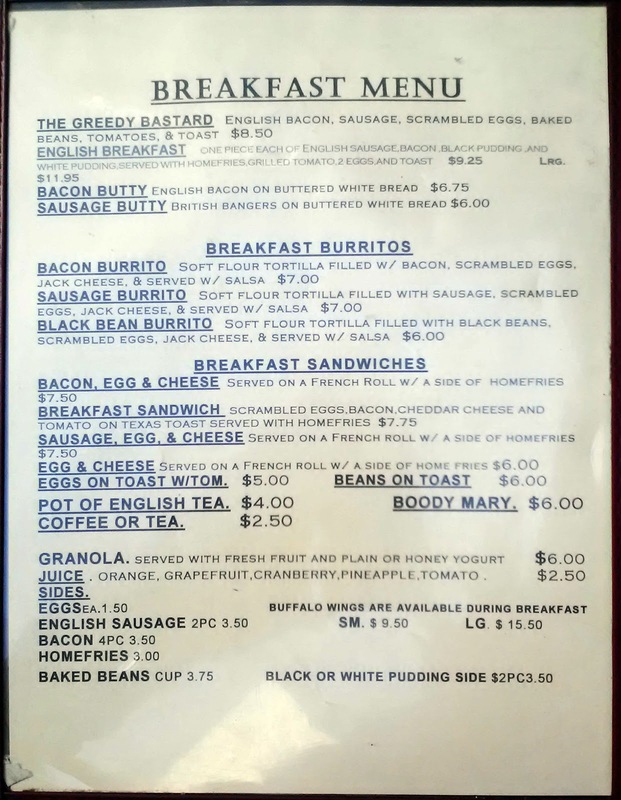 One of these days, I'm going to make a morning appearance at Mad Dog in the Fog, throw my pride (and sensitive stomach) to the side, and order the chicken wing breakfast. Then and only then can I truly call myself a wing enthusiast.